Thien Phat manufacturing, trading and constructing limited company is a supplier of wood panel. Our company concentrates on laminated board made from rubber, pine, sapele, acacia, etc and supplies these products to the Vietnamese market in specific and the Asian, European Market in general. Thien Phat company is previously known as Quy wood private company ( founded in 2005). Our brand has earned certain reputation in Vietnamese wood panel market with the name of Q-T High Quality Wood. Thanks to its high quality wood and precious knowledge, Q-T has become one of the major firms in the Vietnamese wood panel market. Currently, Thien Phat company has approximately 800 workers who are rich in experience and competence. On the contrary, Thien Phat also updates its machinery continuously to meet the current technology ( up to millions of USD). At the same time, Thien Phat company enlarges its operating area up to 10.2 hectares comprising: factories, input warehouses, 36 lumber kilns, materials storage, output warehouses…. In order to bring the best punctuality as well as the best products to customers. Thien Phat wood products can satisfy customers with a guarantee of a to z of quality, not only the smallest details but also the most complex details. Specially, we always listen to customers’ comments to fulfill their needs. Last but not least, We are always looking forward to hearing your feedbacks and recommendations in order to improve our service ,customers’ satisfaction and our products’ quality. 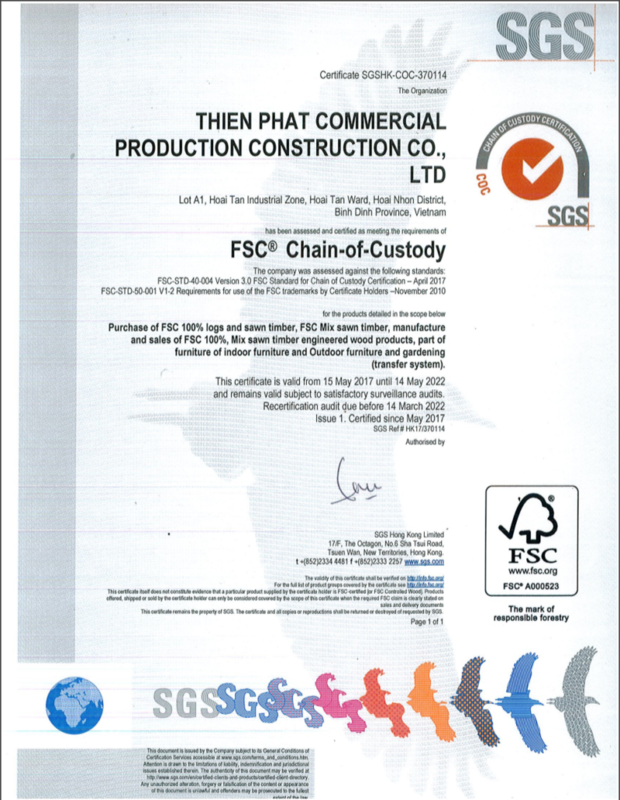 In next years, Thien Phat company will extend its activities in the furniture and flat wood manufacturing sector. We always desire to bring the best products with different shapes to satisfy customers’ needs in every aspect. We also aim to export our products overseas and we strike to bring the most professional services with the best quality products to our customers from all corners of the world. We hope that we will have an opportunity to satisfy you your wants with our highest quality wood-based products and our most professional services.